Yesterday I posted on Feeling Stitchy about the Take A Stitch Tuesday 10 year anniversary and worked the Interlaced Cable Chain Stitch. 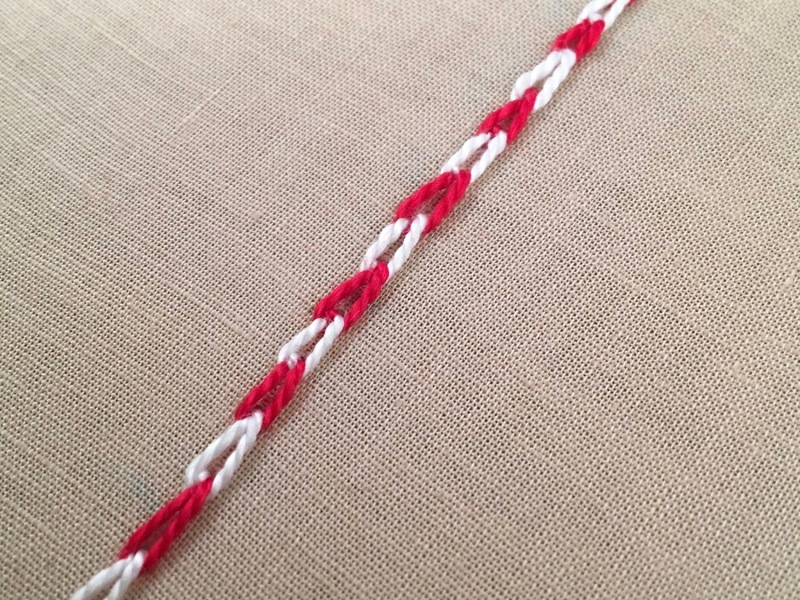 To celebrate here, I am completing TAST stitch #69 - the Magic Chain Stitch! 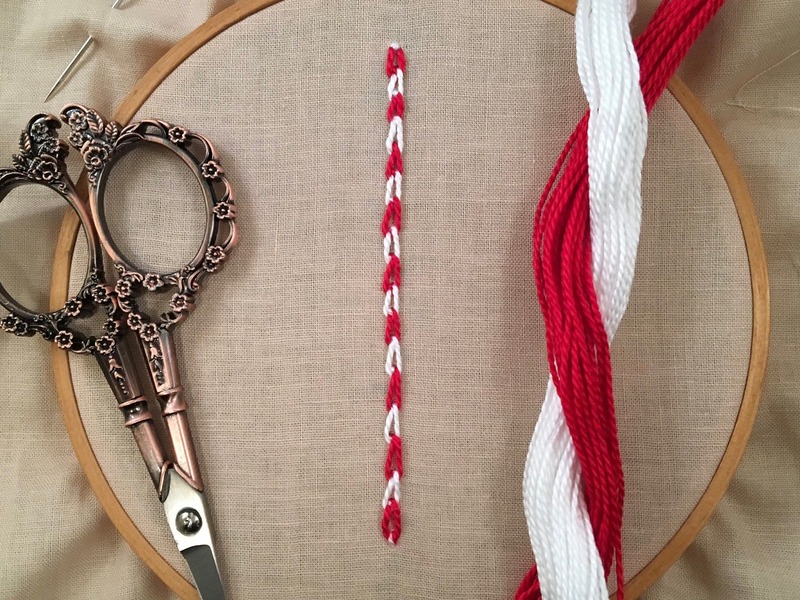 When I chose the red and white thread for this, I was originally going for a "Valentine" color theme, but after I was done all I see is "Christmas" candy cane colors!! Oh well, I will have to remember this stitch for next Christmas! Check out Sharon's tutorial for the Magic Chain Stitch also. 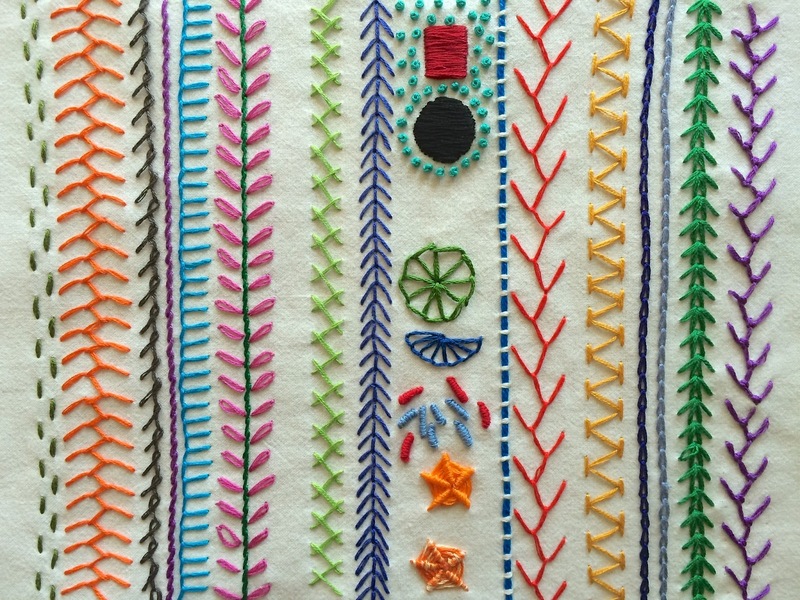 More information on the TAST challenge, guidelines, and stitch list can be found here. Its been a looooong time since I my last TAST stitch. My TAST sampler recap is the most viewed post on the blog. 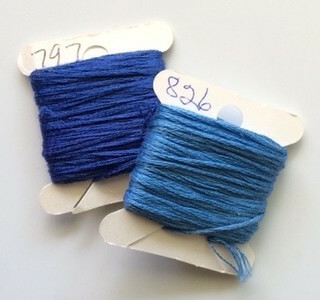 Find all my previous Take A Stitch Tuesday stitch posts on my TAST page.